Just-Pics » News & Headline Stories » How To Wear Tights To Dress Up Your Figure In The Winter: When wearing tights a woman should consider how she will pair the tights with an outfit. Wearing tights and showing some knee can be challenging for some women but, if paired with the right outfit you can pull off a very flattering look. Tights has become an essential piece as more women are braving the winter months to show off their figure. If your skirt has a pattern, wear plain tights. 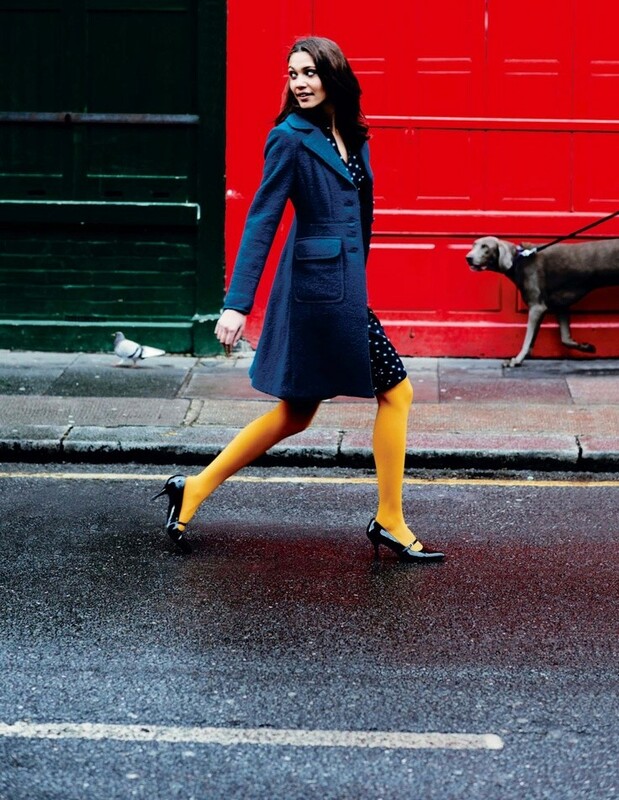 If the skirt is plain, wear patterned tights that are of a distinct enough color so they don't blend in with the skirt.